Apple had a big day with their Spring Forward event; they released all kinds of details about their forthcoming Apple Watch (including pricing), they released information regarding a new 12-inch Macbook with Retina display, and, among other things, they also announced that iOS 8.2 was available as an update to certain iPhones, iPads, and iPods. While not a huge upgrade, the update did make some needed changes. Of course those weren’t the only areas updated, just the main highlights. The update also claims to improve Music, Maps, and Mail among other apps. I updated earlier and found it to be a seamless process; it doesn’t take a whole lot of storage space to do it over the air, and it probably took less than 10 minutes for the installation and all. 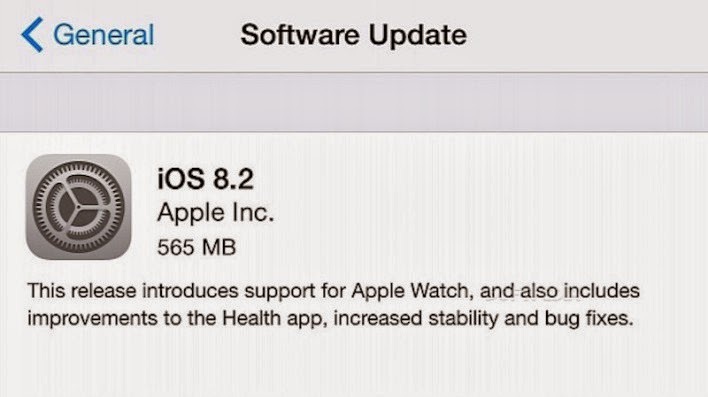 Have you installed iOS 8.2 yet? If so, what do you think?